After a remarkably quiet 2013 Maruti Suzuki has begun spreading its gigantic wings all over 2014. They begin the year with a brand new offering aimed squarely at the Indian market. The Celerio, if you aren’t aware of it by now, is a hatchback that will eventually replace the A-Star and the Estilo.. The Celerio is built on an all-new platform that has been in the making for close to three and a half years. A team of around 175 designers, engineers, product planners, visualisers, marketeers etc from both India and Japan have combined their efforts to this end. Except whoever came up with a name that sounds like a veggie in a salad mated to Mahindra’s favourite latter is anyone’s guess. 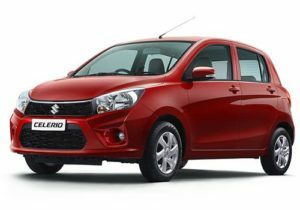 According to Mayank Pareek, COO Maruti Suzuki, Celerio means a ‘celestial river’, but don’t ask me what’s the connect, I’m as clueless as you and many Maruti Suzuki employees are! The Maruti Celerio CNG gets is power from a 1.0-litre K-Series engine. This engine produces 59bhp of power and 78Nm of peak torque. It is mated to a five-speed manual transmission. There is no AMT available on the CNG version. The power on the Maruti Celerio CNG is a bit lesser than the petrol version. However, it doesn’t feel underpowered at any point of time. Most of the power comes at high rpm so for best performance one has to rev up a bit. The driveability of the car is also good. The Maruti Celerio CNG is so easy to drive in city and even on the highways.